This delightful horse and cattle property is located in the scenic Mapleton, Flaxton & Montville area that is renowned for its exclusive lifestyle properties. The property is flood proof and the land is well fenced. 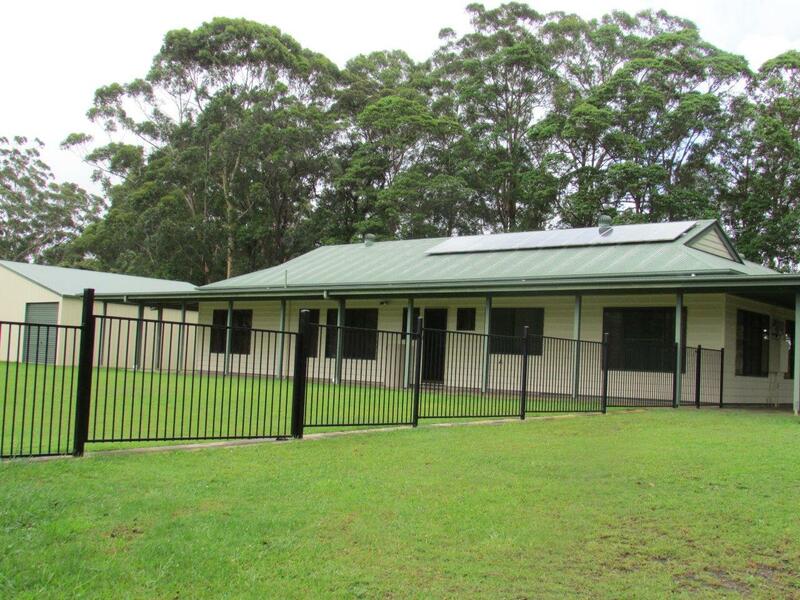 Travelling time to the prestigious private schools in the Chevallum area is 35 minutes and for the horse enthusiast 25 minutes to the Nambour Equestrian Centre. The home is an impressive well built structure that is in move in condition. It is perfectly designed for entertaining guests with a separate 7.7m x 7m entertaining pavilion with a BBQ area, that has 4 side screens. Upon entering the home through the front door, to your left is a family room, to your right is the formal lounge. The four bedrooms are all ample in dimensions with built in wardrobes in three and the master having an ensuite and walk in robe. The family bathroom is located centrally with a separate toilet. The open plan kitchen dining room has expansive views of the farm and has a unique eye catching wooden ceiling. Surrounding the entire house, covering 221m2, is a covered verandah. There are split system air conditioners and fans in the bedrooms and the lounge. Water for the house is from the rainwater tank and the gardens water is from the bore. The house yard has dog friendly fencing. The shed has 4 front roller doors, the 2 largest have electric motors for ease of lifting. It has a very high roof and measures 12m x 10m. As the rear of the shed is a roller door giving drive through potential. 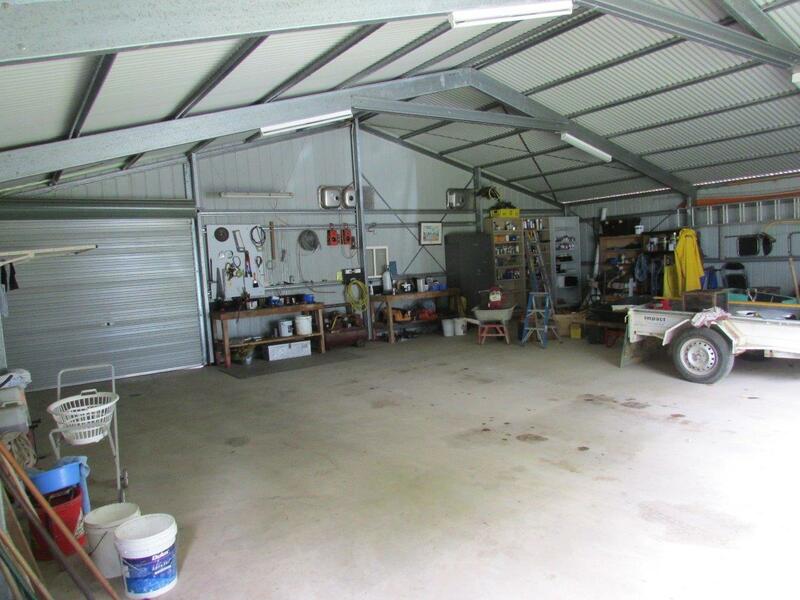 Its size allows for 2 cars, a truck and a boat to be parked leaving ample room for a workshop bench space and the ride on mower. For the handy person, there is the possibility of putting in a mezzanine floor. The house and shed sits on a flat area of the 7.59 hectares at the end of the entrance driveway. 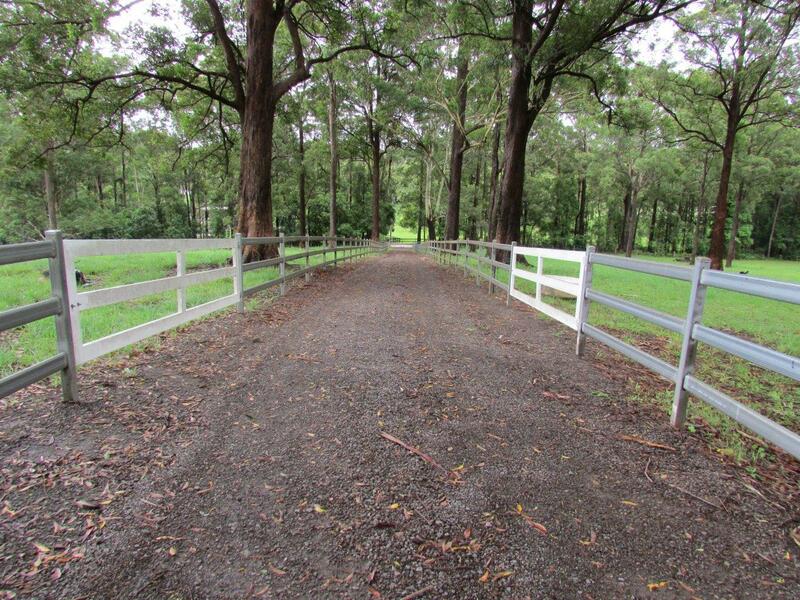 On the left side of the driveway are the 2 separate horse paddocks totalling approx. 1.5ha that have several water points and shade trees. To the right side, are two much larger paddocks more suited for cattle with cattle yards and a spring-fed dam. The high quality bore provides for stock water and the houses gardens. The land has a gentle slope unlike many properties in the area. It is rare to find such a high quality home on such fertile flood proof land like this, being presented for $975,000. This is definitely an exclusive lifestyle property that new owners can put their stamp on.